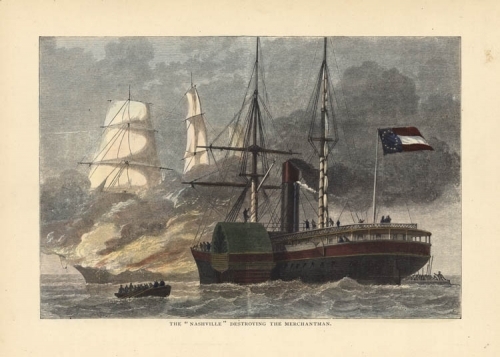 THE "NASHVILLE" DESTROYING THE MERCHANTMAN. Image size 5 5/8 x 8 5/16" (14.3 x 21.2 cm). Publisher : Published by Cassell Petter & Galpin : London, Paris & New York. From "Cassell's History of the United States" by Edmund Ollier. Volume III.